CPR New Mexico is a program of Region II EMS. 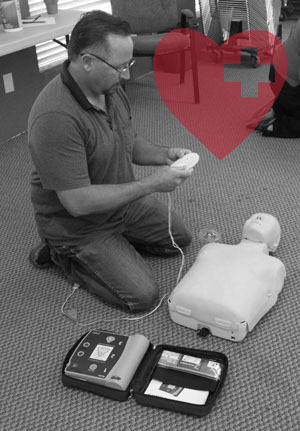 The goal of CPR New Mexico is to provide effective and comprehensive training and education though the various courses offered by the American Heart Association, NAEMT, NM EMS Bureau, and more. Some courses that we offer are Basic Life Support for Healthcare Providers, Heartsaver First Aid CPR & AED, Advanced Cardiovascular Life Support (ACLS), Pediatric Advanced Life Support (PALS), and Prehospital Trauma Life Support (PHTLS). We train thousands of students yearly all throughout New Mexico through our large network of over 300 instructors. 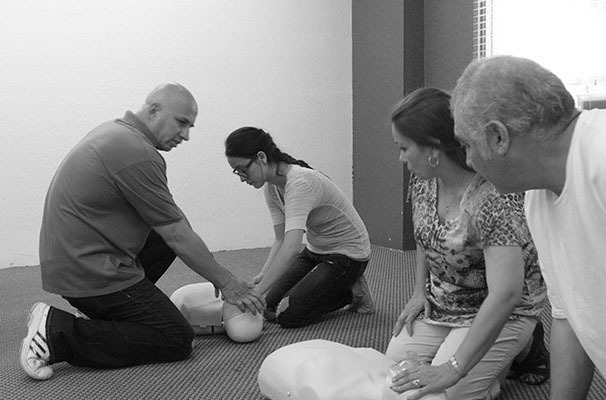 A variety of courses are offered weekly through our community training center held at the CPR New Mexico Classroom in Downtown Las Cruces. We can also offer custom courses for your organization, as well as, online CPR and some advanced healthcare courses, i.e. ACLS. We strive to provide students with the best learning experience possible which enables them to perform CPR or render First Aid if the situation arises with confidence in the skills they have obtained from attending one of our courses. A student learning how to administer the AED.